Hirumi, A. (2002). Student-Centered, Technology-Rich Learning Environments (SCenTRLE): Operationalizing Constructivist Approaches to Teaching and Learning. 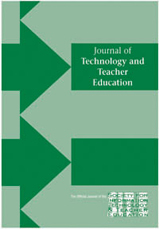 Journal of Technology and Teacher Education, 10 (4), 497-537. Norfolk, VA: Society for Information Technology & Teacher Education. Retrieved April 22, 2019 from https://www.learntechlib.org/primary/p/9524/. Barrows, H.S. (1985). How to design a problem based curriculum for the preclinical years. New York: Springer. Bridges, E., & Hallinger, P. (1992). Problem based learning for administrators. Eugene, OR: ERIC Clearinghouse on Educational Management, University of Oregon. Bruner, J. (1974). Beyond the information given. London: George Allen& Unwin. Carey, S. (1985). Conceptual change in childhood. Cambridge, MA: MIT Press. Case, R. (1985). Intellectual development from birth to adulthood. Orlando, FL: Academic Press. Chomsky, N. (1965). Aspects of the theory of syntax. Cambridge. MIT Press. Cognition& Technology Group at Vanderbilt (CTGV) (1992). The Jasper experiment: An exploration of issues in learning and instructional design. Educational Technology Research and Development, 40(1), 65-80. Cunningham, D.J., Duffy, R.M., & Knuth, R. (1993). Textbook of the future. In C. McKnight (Ed. ), Typertext: A psychological perspective. London: Ellis Horwood. Heywood, J. (1989). Assessment in higher education (2nd ed.). Dublin, Ireland: The Universityof Dub l in and John Wiley& Sons. Hirumi , A. (1996a , February). Studen t-cen tered, techno logy-r ich learning environments: A cogn i t ive-cons truc t iv is t approach. Concurrent session held at the Association for Educational Communication and Technology Conference, Indianapolis, IN. Holmes Group. (1990). Tomorrow’s schools: Principles for the designo f professional development schools. East Lansing, MI: H.G. Inc.
Jerich , K. (1989). Using a clinical supervision model for micro-teaching experiences. Action in Teacher Education, 11 (3) , 24-32. Jonassen, D.H. (1991). Objectivism vs. Constructivism: Do we need a philosophical paradigm shift? Educational Technology: Research and Development, 39(3), 5-14. Kohler, W. (1925). The mentality of apes. London: Routledge& Kegan Paul. Lebow, D. (1993). Constructivist values for systems design: Five principles toward a new mindset. Educational Technology Research and Development, 41 , 4-16. Loacker, G., & Mentkowski, M. (1993). Creating a culture where assessment improves learning. In T. Banta (Ed. ), Making a difference: Outcomes of a decade of assessment in higher education (pp. 5-24). SanFrancisco: Jossey-Bass. Norton, P. (1993). In search of a computer curriculum. In T.R. Cannings& L. Finkel (Eds.). The Technology Age Classroom. Wilsonville, OR: Franklin, Beedle, & Associates. Paris, S.G., & Byrnes, J.P. (1989). The constructivist approach to self-regulation and learning in the classroom. In Zimmerman& Schunk (Eds. ), Self-regulated learning and academic theory, research, and practice: Progress in cognitive development research (pp.169-199). Berlin: Springer-Verlag. Piaget, J. (1969). The mechanisms of perception. London: Routledge and Kegan Paul. Piaget, J. (1971). Genetic epistemology. New York: W.W. Norton. Rorty, R. (1991). Objectivity, relativism, and truth. Cambridge, UK: Cambridge University Press. Von Glasersfeld , E. (1989b). Constructivism in education. In A. Lewy (Ed.) , The international encyclopedia of curriculum (pp. 31-32). Oxford, UK: Pergamon. Von Glasersfeld , E. (1991). Constructivism in education. In A. Lewy (Ed.) , The International Encyclopedia of Curriculum (pp. 31-32). Oxford, England: Pergamon Press. Vygotsky, L. (1962). Though t and language. Cambridge, MA: MIT Press. Wilson, B. (1996). Constructivist learning environments: Cases tudies in instructional design. Englewood Cliffs, NJ: Educational Technology.